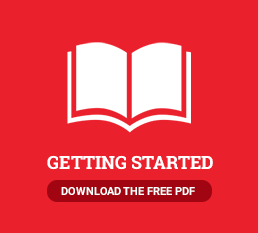 Self-Publishing Simplified - How long does it take? Ready-to-go manuscripts can be finished as quickly as 45 days, but remember: the Mona Lisa wasn’t painted overnight! 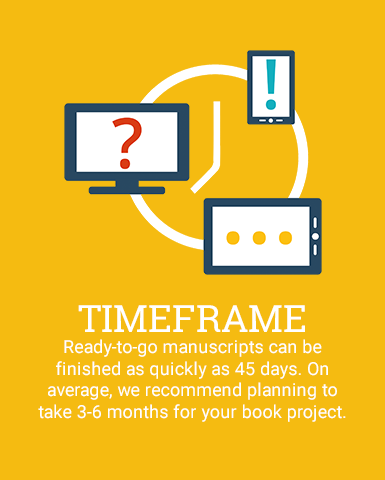 We recommend planning to take 3-6 months for your book project. Why? This allows time for services like manuscript reviews, editing, and design decisions. Your new book will be seen by friends, family, neighbors, co-workers, and a copy might even make its way down to the coffee table of your great-grandchildren. It’s worth the time to do it well. Another important step takes place while the book is being developed: your pre-marketing. We’ve seen that books with active and heavy pre-marketing campaigns sell more copies, both immediately and over the long haul. This is the perfect time to build the hype!